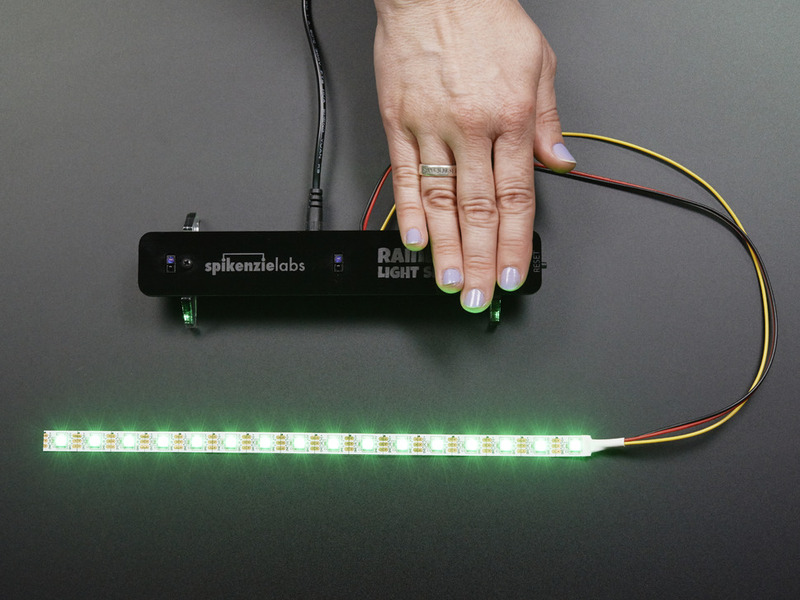 Play the light fantastic with this DIY kit for NeoPixels. The Rainbow Light Show Kit from Spikenzielabs is a great electronics kit with easy to solder through hole parts and an instruction guide that is packed with photo rich instructions. Much more than just a hobby electronics soldering kit. 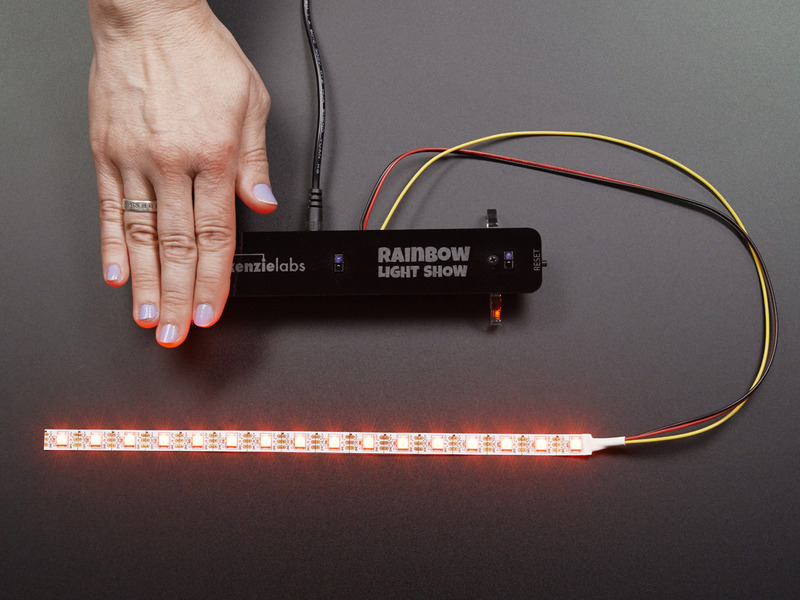 The Rainbow Light Show kit is a mesmerizing interactive experience. 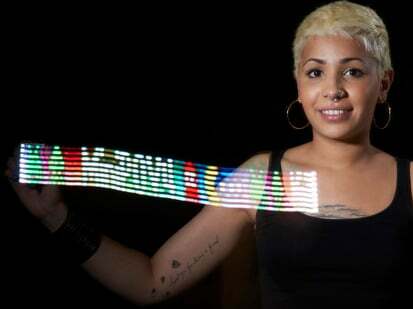 Wave your hands over the three proximity sensors and watch the Light Show! Mix red, green and blue to create as many colors as you can imagine, and watch them chase each other down the strip. 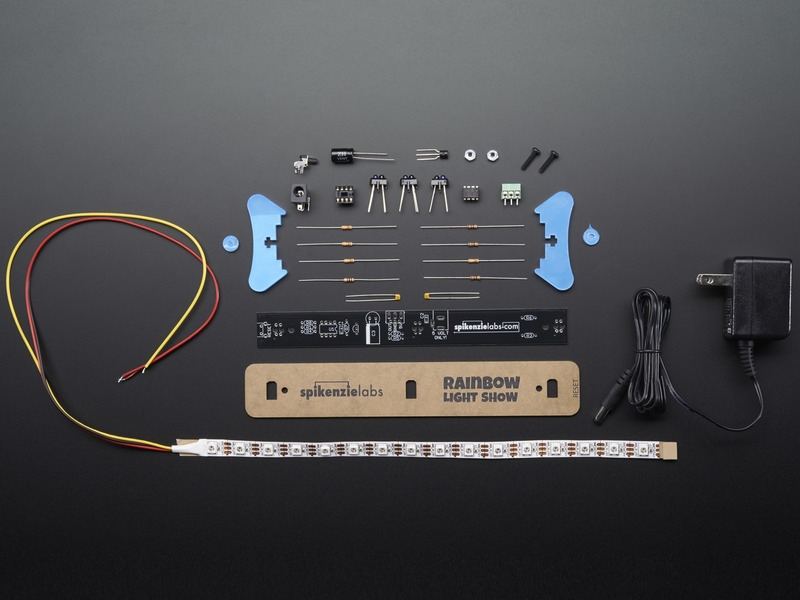 The kit comes with one RGB LED strip. 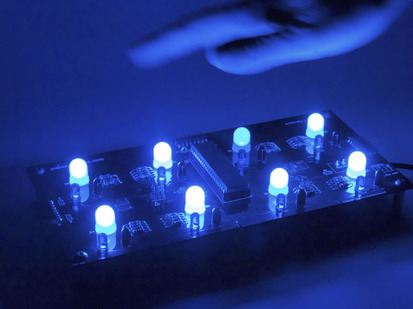 Each of the LEDs can produce any of around 16 million different colors, all at the control of your hands. 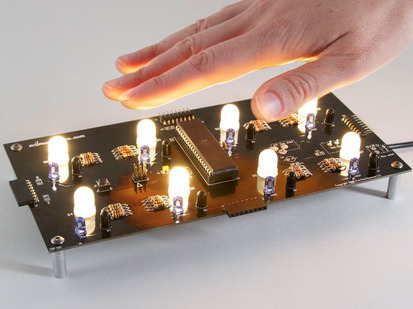 The strip included with the kit has sixteen LEDs. 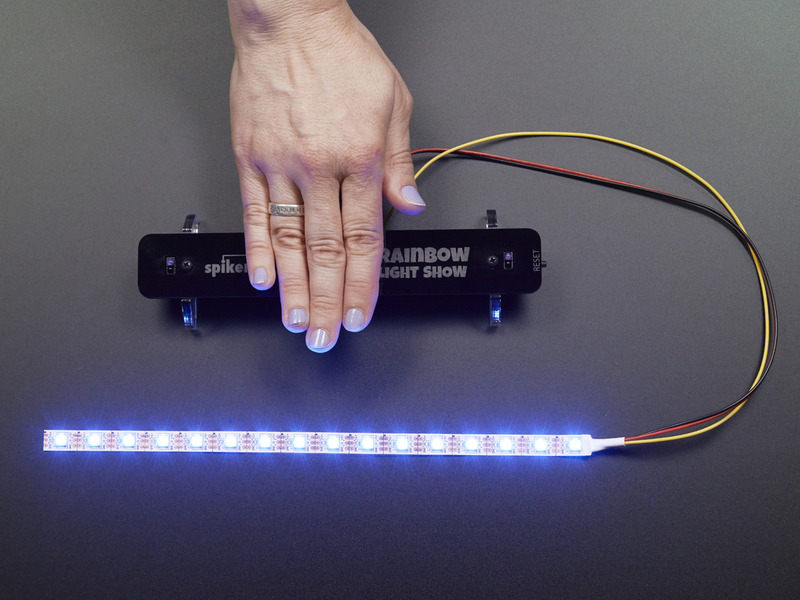 Optionally, we made the kit expandable up to 64 LEDs in total, for an awesome amount of light and color! 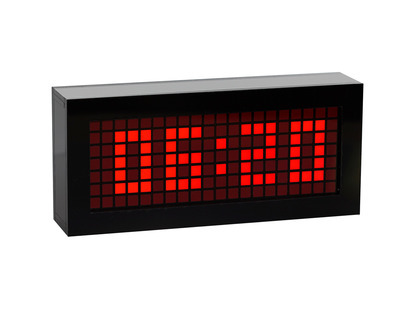 Assembled Dimensions: 57mm x 195mm x 21mm / 2.2" x 7.7" x 0.8"